This is a first in this blog. Normally I don't post CD's. But in this case the CD has been out of production for a long time, - and even when it was in production it was extremely hard to get. 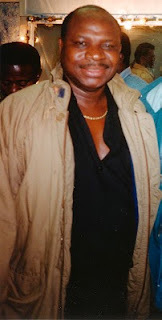 In the mid-1970s, Josky Kiambukuta was one of the few members of the T.P. O.K. Jazz who had the freedom to record outside of the orchestra. Franco, as a general rule, did not allow his musicians to wander off and work with others. As I mentioned in an earlier post, he wanted to put an end to the coming and going of musicians. I appears to me, by the way, that this rule was not always imposed with the same rigour. Franco must have known about his instrumentalists frequently 'moonlighting' outside the O.K. Jazz. But I guess the main reason for the rule was to impose his authority as the leader of the orchestra. "While in the O.K. Jazz, I, Mayaula and Youlou made three songs on the side. So, not in the O.K. Jazz, but in MaMaKi. Meaning Mayaula, Mabiala, Kiambukuta. So: "MaMaKi".(...) "Ya Tamba", that was the label; he was the producer", Josky recalled in 1991. He mentions Mayaula Mayoni, who was - as Ntesa Dalienst put it - 'associated' with the O.K. Jazz, but not a member. His association in practice meant that he composed songs for the orchestra (see this post) and on occasion played rhythm guitar. Youlou Mabiala at the time was no longer a member of the O.K. Jazz. He had left and had already formed his own orchestra Kamikaze Loningisa. Both to Franco and to the general public he was seen (and is seen), however, as a child of the O.K. Jazz. I realised afterwards that Josky stated they recorded only three songs as MaMaKi. I am not sure what this means. Maybe he is referring to his own compositions, because - going by the CD* - there are three songs composed by Josky. Or perhaps the other songs on these two (!) CD's were originally not released as MaMaKi, but - and I am just guessing now - as Mayaula Mayoni and his orchestra. Or maybe he meant that only three MaMaKi songs where included in the lp "L'Afrique Danse avec Ya Tamba". This lp on the African label (African 360.110) also contains two songs by two other artists who shortly afterwards joined the T.P. O.K. Jazz (or perhaps in the case of Diatho had just joined the orchestra): Djo Mpoyi and Lukoki Diatho. I don't recognise Josky in these songs, and Josky himself doesn't remember singing in them. 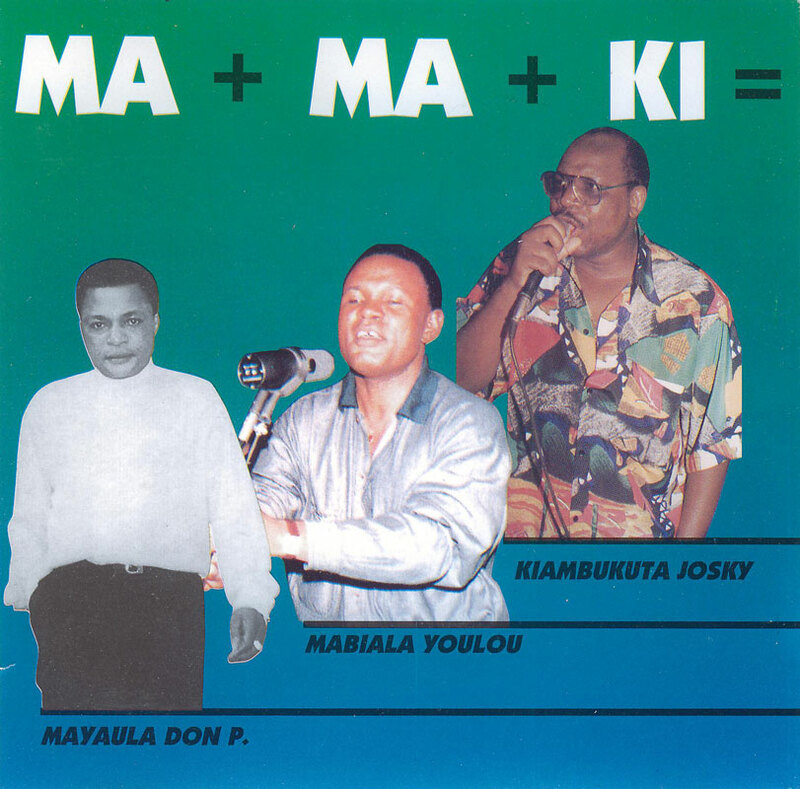 Both songs are also on the MaMaKi CD's, - although "Libala Bombanda" has been renamed to "Ngonda Nazwi" (but "Libala Bombanda" is the correct name). The lp contains one 'mystery track': "Trahison Hadas". Josky confirmed that this wasn't a track by MaMaKi, and I am pretty sure it is neither by Mpoyi & Diatho. But I have not been able to trace who is performing this track. What makes these CD's really special is the magical combination of the composing talents of Mayaula and the superb singing skills of Josky. Take for example the moment Josky enters his solo in "Pardon Cherie" (after 2'39), after a solid intro into the song in which the groove has been carefully 'constructed'. Or the spine-tingling moment when he set off (after 3'00) in - my favourite - "Silawuka". Youlou too has his moments. 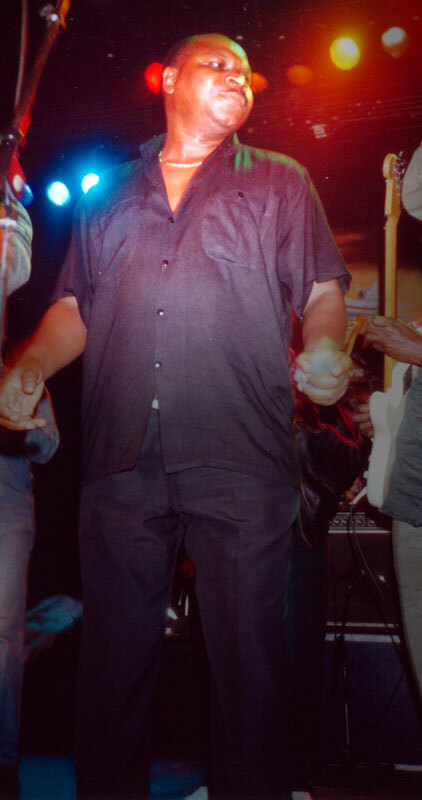 Of course in "Papi" (which has featured on at least one of Youlou's own "Best of" CD's ) and "Camarade Na Ngai", which were composed by him. But also as a backing vocalist in "Pardon Cherie", "Bombanda Compliqué" and "Massivi". It appears to me that least two of Josky's tracks were 'rough sketches' for later successes with the T.P. O.K. Jazz. The superbly jangling and counterpoint-ridden "Limbisa Ngai" was repeated in a slightly polished form on that classic lp from 1983 "Franco présente Josky Kiambukuta du T.P. O.K. Jazz" (Edipop POP 025). And "Mossese" appears to have been a rough study for perhaps one of Josky's best known hits: "Chacun Pour Soi" (also released in 1983, on CHOC 002/003). I am still left with a lot of questions about the tracks on these CD's. Why were the three Diatho compositions included, when they clearly don't feature any of the three from MaMaKi? I am not complaining though, because "Lengema" is a song which is beautifully sung by Lukoki, backed firmly by Djo. And who is this 'Masiva' who composed the last track "Na Regretté Tantine"? This track and "Silawuka" appear to be from the same session. Who is playing the acoustic guitar in these two wonderful songs? According to Josky the orchestra backing the MaMaKi trio consisted mainly of members of the O.K. Jazz. But who? Why were tracks shortened ("Mama Na Bebe", "Libala Bombanda", "Massivi"), or extended ("Bombanda Compliqué"! !, "Pongi Nazwa Te")? 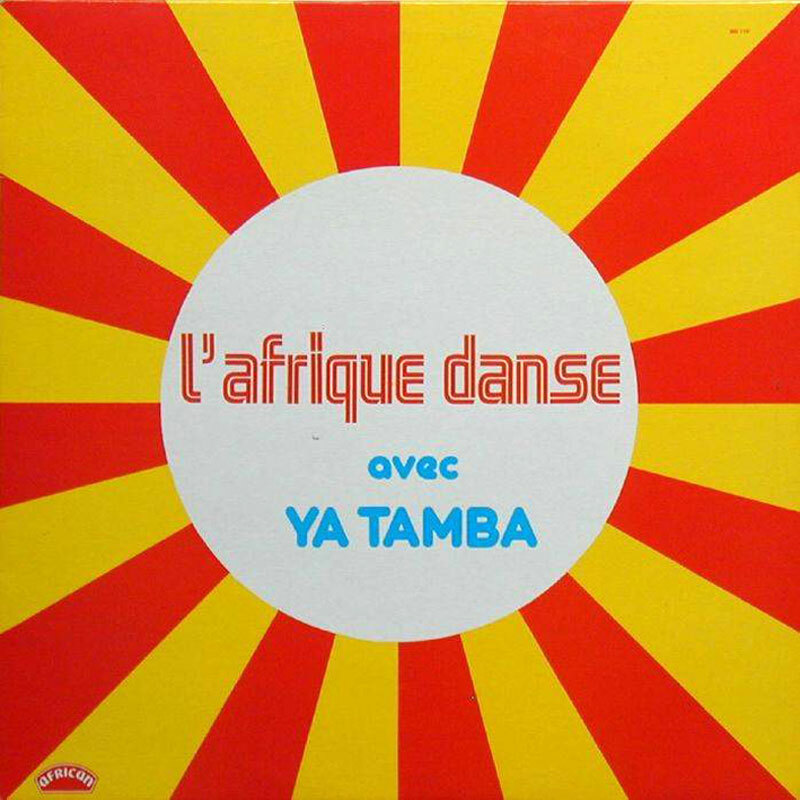 *"Going by the CD", because on the lp "L'Afrique Danse avec Ya Tamba" the track "Pongi Mazwa Te" is credited to Josky, while on the CD Mayaula is named as the composer (and the song is almost two minutes longer...). "Trahison Hadas" is a track by Pepe Kalle & Empire Bakuba. Also, one of the first singles released under the name Mamaki was "Mosese" (cat. # YAT 02). It came out in 1977, when Youlou was still part of OK Jazz. Conclusion: Josky probably meant he recorded three of his songs in Mamaki: "Mosese", "Pongi Nazua Te" and "Massivi". I also wonder why the Diatho tracks were included. They are obviously not Mamaki. As for the Mayaula tracks, I have "Pardon Cherie" on a 7". It credits Mayaula Mayoni et son ensemble. I assume that was probably also the case with "Silawuka". Re: the shortened LP tracks - in the days of vinyl you could fit only 25 minutes of music on one side of an LP. Thanks for posting about this - i really like this cd as well and it has been a little mysterious to me as well. Can one ever get enough Josky? I don't think so. Still playing the heck out of the Josky podcast you posted a while back. Thanks so much! Really top class music. Apart from how good they are one thing really surprised me that you didn't mention in your post. When I compared the different versions the vinyl version is pristine while the CD is like it's dubbed from a really ropey old copy of a an LP. Or have I got my copies mixed up somehow?